Speedometer displays your current speed in a fancy way. Impress your friends when driving a car or beeing on the bus or whatever you like. It has support for mph and km/h and provides 3 different designs. A light design, a dark design and a pure number design. 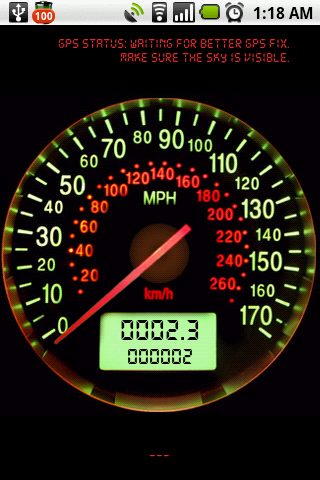 Speedometer comes with a day trip counter as well as an overall total distance counter. You can reset your day trip counter like it is possible in your car. 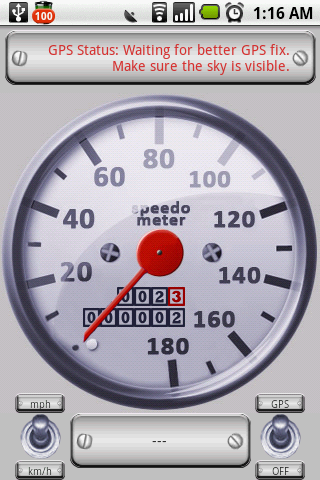 Since version 1.0.2 it has even a maximum speed indicator which shows for short time your max speed. 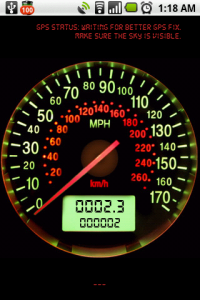 Note: Speed is measured by GPS and is very accurate, however it has a delay of about one second until the speed is shown due to GPS refresh rate.